This past Sunday we studied Matthew 28:16-20 and focused on how the Gospel creates a church to make disciples. At Doxa Church, we desire to understand the calling to make disciples, the weight of this calling, and the confidence we can have in disciple-making. The command to make disciples comes directly from Jesus, “Go therefore and make disciples of all nations…teaching them to observe all that I have commanded you” (verses 19-20). Who is a Disciple? Someone who is beholding, obeying, and being transformed by the Gospel of Jesus, increasingly looking more like Jesus in all of life. Who am I called to disciple? The people already around you! Think about the places God has already entrusted to you. Who are the people in your home, neighborhood, and work? Making disciples isn’t an additional thing, rather an intentional stewardship of the relationships God has already given you. How do I disciple? 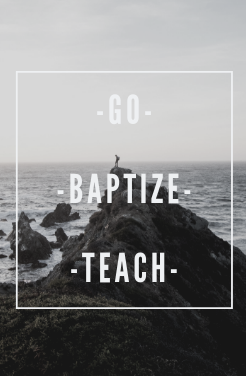 First, Jesus tells his follwers to take action and “Go.” Jesus then instructs them to teach “all that I have commanded you” and baptize “in name of the Father and of the Son and of the Holy Spirit” (verse 19). Discipleship takes place when we teach others the Gospel. The natural outflowing of the Gospel is baptism. When you repent of your sins and trust in Jesus, baptism is your identification with Jesus’ life, death, and resurrection. While we should feel the weight of this calling, the good news is that we can be confident in the holy endeavor of making disciples. Why? Verses 18 and 20 provide us with some answers. Do you ever open the refrigerator to find the milk has expired? This is something that will never happen in the life of a Disciple. 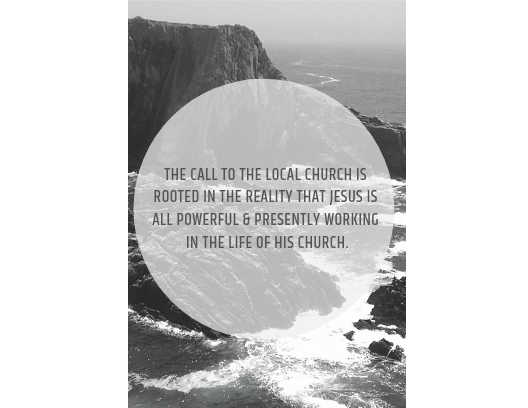 Jesus gives us the confidence we need to fulfill the call to make disciples. “All authority in heaven and on earth has been given” (verse 18) to Jesus and He is with us “always, to the end of the age” (verse 20). “Authority” means to have absolute power, influence, privilege, and rights over all things. Jesus teaches us that our confidence is rooted in His authority, not our own efforts or qualifications. We are also reminded that the very same God who died FOR us is the very same God who is WITH us. The power and presence of Jesus doesn’t expire but transpires for all eternity! The key to making disciples is our trust in God, not in ourselves. The Church is God’s chosen vessel and we are his chosen people to carry the contents of His gospel to all people, so that every inch of the earth will be filled with His Glory. May we see this great honor and feel its weight but be humbly confident in the God who has commissioned us.